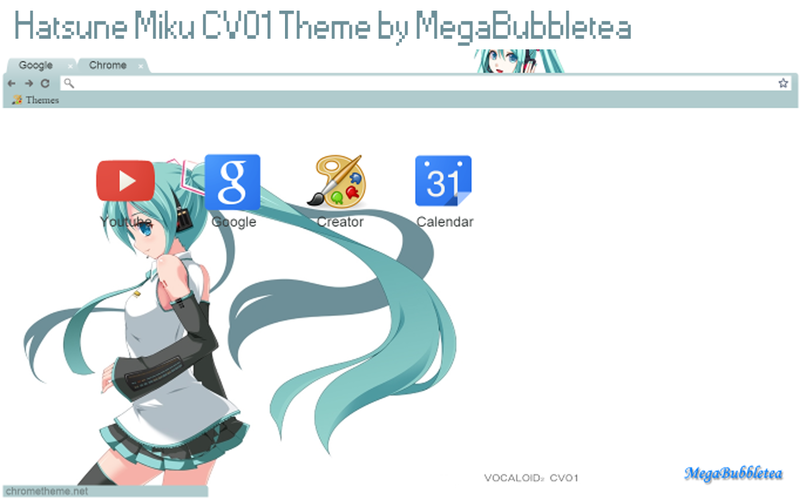 I decided to create another simple Hatsune Miku theme after stumbling across this awesome picture of her! Nothing else to say here. Just give it a go!